Despite all the high-tech digital games available, board games are still popular and trendy as ever. We love the excitement, entertainment and clever plotting involved in playing board games. They are a fun family and social activity that has many health benefits. They help with cognitive function, social skills, motor skills, reasoning, problem-solving, improved memory, lowers blood pressure and so much more. There are lots of board games on the market, but none are as influential as Monopoly! Regardless of the version being played, Monopoly requires a cunning strategy and a healthy dose of friendly competition. The newest version to hit the market is Monopoly Fortnite. It was inspired by the ever so popular online video game Fortnite, and Hasbro has amped it up to include elements and locations from this epic game. However, it’s not about how much property or money you accumulate during the game, it’s about who can survive it. Monopoly Fortnite comes with a game board, 27 cardboard characters with stands, 16 location cards, 15 Storm cards, 16 loot chest cards, 8 Wall cards, 1 numbered die, 1 action die with labels, 110 Health Point chips, and game guide. The action dice comes blank so you’ll need to add the included stickers to each side. There are a lot of new features so players should read the instructions first and set the board up accordingly. Then choose a character or outfit card, roll the dice and move as directed. Although Fortnite is set up like a regular monopoly game, the rules are significantly different. Instead of money, you’ll collect and play with HP’s or health points and each player starts off with 15 of them. To begin, these health points are placed in the center of the game board and you cannot exceed more than 15 throughout the game. Storm cards have replaced the classic Chance cards and you’ll draw one everytime you pass go. Then you’ll collect the number of health points indicated on the Storm card providing you have not reached the 15 HP limit. Roll both dice, and move the spaces shown on the number dice, while carrying out the requirements from the action die. There are four actions – 2 Bandages, 2 Crosshairs, 1 Boogie Bomb and 1 Brick. Bandages allow you to collect two HP’s as long as you haven’t maxed out. The Crosshairs roll allows you to choose one player on your side of the board to pay the bank one HP. Roll the Boogie Bomb and all players lose 1 HP and all the walls come down. The Brick roll allows you to make forward, complete the action or build a wall. Incidentally, walls act as roadblocks so it will end your turn if you run into one. But can be removed once the action of the space has been fulfilled. You’ll need to play this game several times to get into the flow of the rules. It’s fun, it’s different and it’s definitely challenging! You can have anywhere from 2 – 7 players and the last one standing wins the game. We’re happy to have it as part of our Hasbro game collection! Disclosure: Disclaimer: I received product to facilitate a review. All opinions express are my own, yours may differ. I would love to win this to play with my niece and family! I would love to win this for my family. We really enjoy board games. I want to win because it is a new twist on the original game. We have a few versions of Monopoly and the Monopoly Fortnite Edition would be fun to play. We all enjoy board games and f the fortnite version would be fun to play. My nephew loves Fortnite and would love to play this game. I’d love it because my 7 year old grandson LOVES Fortnite and playing games. We’d have a lot of fun playing this together! This might get my Grandkids off the computer games. We are a family of card and board game enthusiasts! One can never have too many board games and this one sounds like a great version of Monopoly. I would love to win this for my boys as they are big Monopoly fans. I want to win this because Monopoly is one ofmy favourite games. My son loves fortnite and Monopoly. He would love this! My grandson would love this game! I would definitely be his favorite team mate. I would love to win this game to bring over to the grand kids and have a great family time in with them. My son loves to play Fortnite! If we get this game, maybe he will put down his electronics and come play it with the family. I’ve never heard of Fortnite. It sounds like an awesome twist on a great classic game! And Fortnite is all the rage now! This looks like it could be a good family game to have when it is to cold outdoors. It would change this up a bit for us. When our 10-yr old granddaughter comes to visit and sleepover, Monopoly is the game she always chooses to play. We taught her many other board games and card games, offer to take her shopping or to go and see a movie, but Monopoly is always her go to with Grandma and Papa. Our sweetheart would absolutely be thrilled to have this newer version! I would like to win this for my grandsons to play. I would love to win this for my nephew who loves board games. My son in law loves fortnite want to win it for him. My family love board games and have never played this one which looks like a lot of fun. My son loves fortnite so he would love this game! I would like to win this prize because our family likes playing board games. My grandson & his friends love to play Monopoly, plus they also love to pay Fornite, so I’m sure that they would enjoy playing this one too. I’d like to win this prize because I know someone who is a Fortnite fan and loves to play Monopoly – so its a perfect combination! I’d love to win this set as I like how games brings the family together. I want to win it for my grandkids to play. I would love to win because we love monopoly and the kids love love love fortnite. I would like to win for my son who loves the fortnite game its all he plays. If I win it will benefit the kids at the drop in center. This would be a great addition to our local library. We have several kids that come to play fortnite on the computers. We love playing games as a family and this will draw in the kids’ friends as well. We love Monopoly. This looks like a fun change! I would love to win the Monopoly prize pack for my 6 year old son who is intrigued by both the thought of Fortnight and Monopoly, although he has never played either due to his age. I want to win to play with family. Nice to have another version that looks so fun. We always have company over, and would love to surprise them with this classic game mixed with their favorite video game!! It would be fun to win as I think both my kids would love playing this game. This games looks like it would be fun and a great way to pass the time during a snowstorm. Our monopoly board is falling apart so I would love to replace it. To see if I can remain the Queen of Monopoly with this game too. This prize is great would love to win it! Both my son and my husband are obsessed with Fortnite! I’d love to win this for my nephews. They love Fortnite and Monopoly. This would be a lot of fun. My family all loves Monopoly so I know we’d love this one too. I would love to win this as a gift for my nephews. They love board games and Fortnite so this is perfect for them. Thanks! We love having family game nights and this would be a great addition to our board game collection. I would love to win it for my son who LOVE both monopoly AND fortnite!!!! I would like to win this to give to my daughter who loves games…especially Monopoly! My son loves Fortnite and this is a great opportunity for the whole family to play. I would LOVE to win this for my son. He’d be so excited! Grandchildren will love this game!! I want to win this prize for my Nephew who is crazy about Fortnite and Monopoly! Id like to win vecauae I love Monopoly AND Fortnite. The perfect combo! This game version looks interesting. I think this update would appeal to the younger AND older members of my family on game nights. My son loves Fortnite; this would be a great gift for him! I would love to win this because I have a cousin who is obsessed with Fortnite. 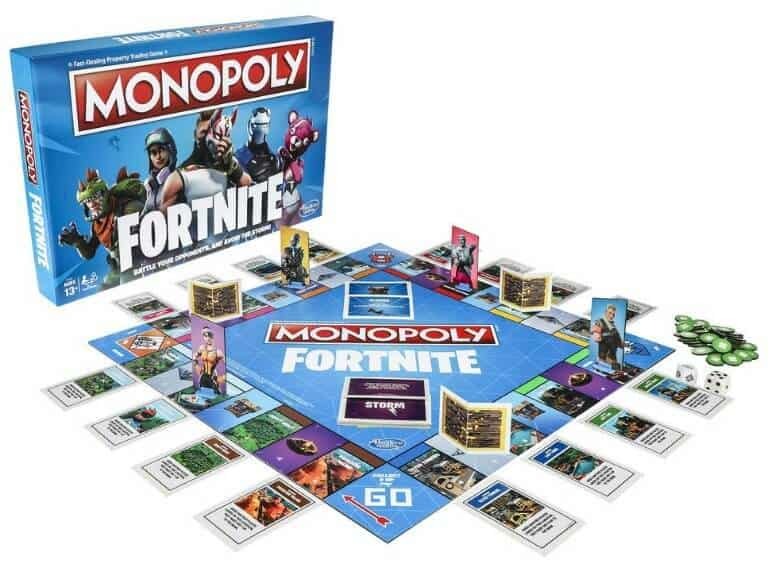 My son would love this, not only the Fortnite but we all love Monopoly at our house. I would love to play this Monopoly game with my family! So much fun! I’d like to win because this would make a great gift for my nephew. I want to win this for my nephew who is big fan of the game and can answer any questions about it. My son loves Fortnite and would love to play this game. My son loves Fortnite and would love to pla winy this game. I’d love to win this for my grandson who is Fortnite crazy and loves monopoly too! I have 3 teenagers, they would love this. We would love to play Fortnite, a cool twist on Monopoly. This would make an old game really interesting again! Thanks for the super giveaway opportunity. I want to win because everyone in my house is obsessed with fortnite and this would be a lot of fun to play! My grandson is so into fortnite that’s all I hear. He would be thrilled to play this game with his friends. I would like to win this to play it with my Grandchildren. I love to win this to drag my sons out from the computer ! 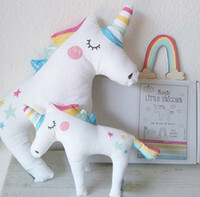 I think this would be the perfect gift for my youngest cousin. I want to win this prize to play with kids! I’d like to win simply because we’re big fortnite fans! We collect different versions of Monopoly and the whole family loves Fortnite! My daughter loves monopoly and has several different versions! She would love this! My granddaughter would love this game! !